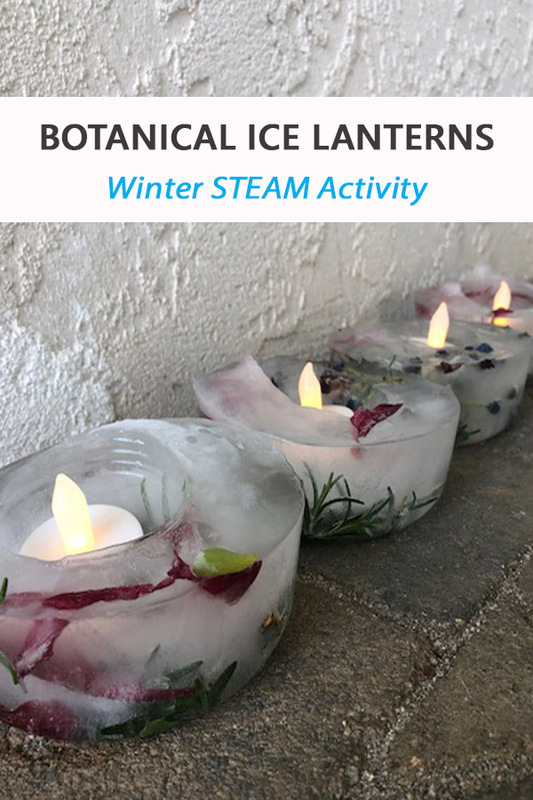 Mixing science and technology with engineering (construction), art, and math is at the heart of STEAM experiments and this botanical ice lantern winter STEAM activity is one of our favorites! They’re so simple to make, and so fantastically beautiful to see flickering during cold nights. 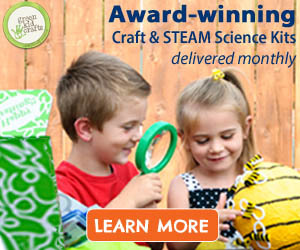 A freezer (unless it’s below 32 degrees outside; in that case, you can freeze your lanterns outside). First, venture into the backyard to find some wintry treasures… dried berries, twigs, rosehips, and bits of pine all make for lovely additions. 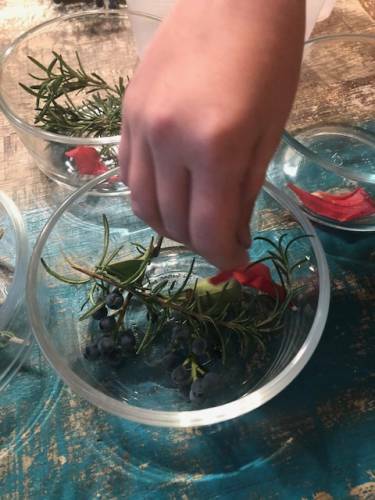 We gathered some rosemary, some winter berries, and used some flower petals from a bouquet we recently received. Next, we filled the bottom of our containers with our botanical items; this will be the ‘shelf’ for our candles to sit upon. 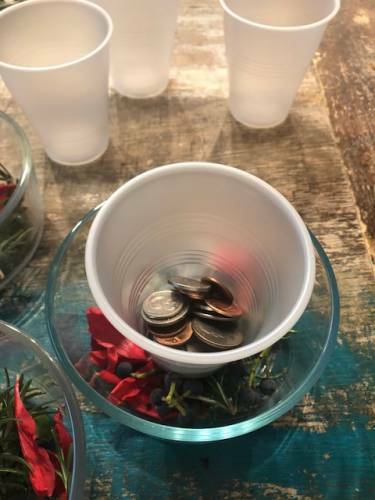 Then we placed our cup in the container and filled it with coins to keep it in place (this will hold a spot for the candle to go). Then we filled up the containers with water. We filled ours about 3/4 of the way full. 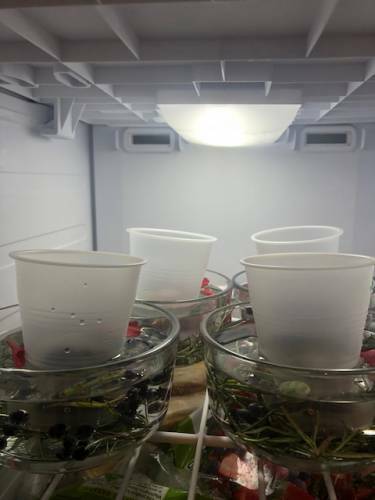 We put them in the freezer because it wasn’t quite freezing outside. This was a good opportunity to talk about the freezing point and made it easy to observe the water moving from a liquid state at the beginning of the project to a solid state (ice) by the end. 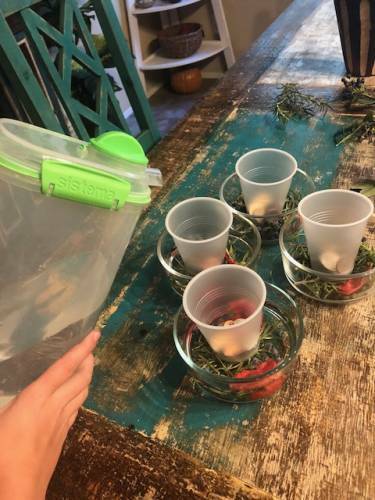 When they were solid, we took them out, and put a bit of warm water in the glass, to release it from the surrounding ice. Then we ran water over the outside of the bowls to release our lanterns. We put candles in the them and enjoyed their beauty for days! 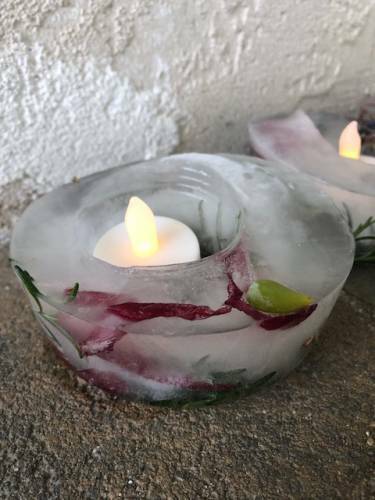 We used electric tea lights to keep from melting the ice. 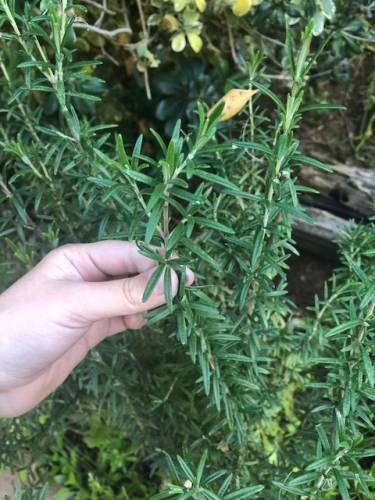 They were so pretty and because we used rosemary in them, they also smelled amazing! 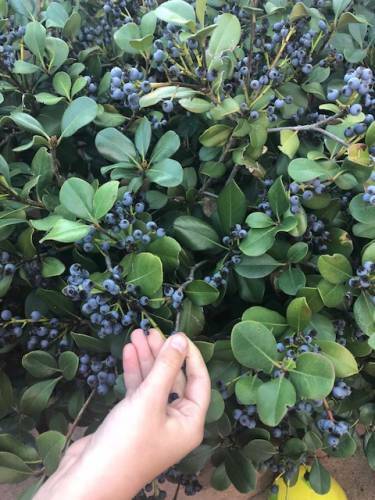 What did you observe about your setup before freezing? And then after freezing? How did the water behave when it changed from liquid to solid? Did the water weigh more when it changed to ice? How long did the ice lantern last after it was removed from the freezer? Was it kept at room temperature or another temperature? Experiment with this.